As a modern metropolis, Ho Chi Minh city is the home of the most skyscrapers in Vietnam. It’s also a densely-populated city with many stories hidden in French colonial buildings. The list below reveals an appealing mix of architectural styles that Ho Chi Minh City presents through decades of development. Saigon Notre Dame Cathedral, built in the late 1880s by French colonists, is one of the few remaining strongholds of Catholicism in the largely Buddhist Vietnam. Located in Paris Square, the name Notre Dame was given after the installation of the statue ‘Peaceful Notre Dame’ in 1959. Measuring almost 60 metres in height, the cathedral’s distinctive neo-Romanesque features include the all-red brick façade (which were imported from Marseille), stained glass windows, two bell towers containing six bronze bells that still ring to this day, and a peaceful garden setting in the middle of downtown Ho Chi Minh City District 1. 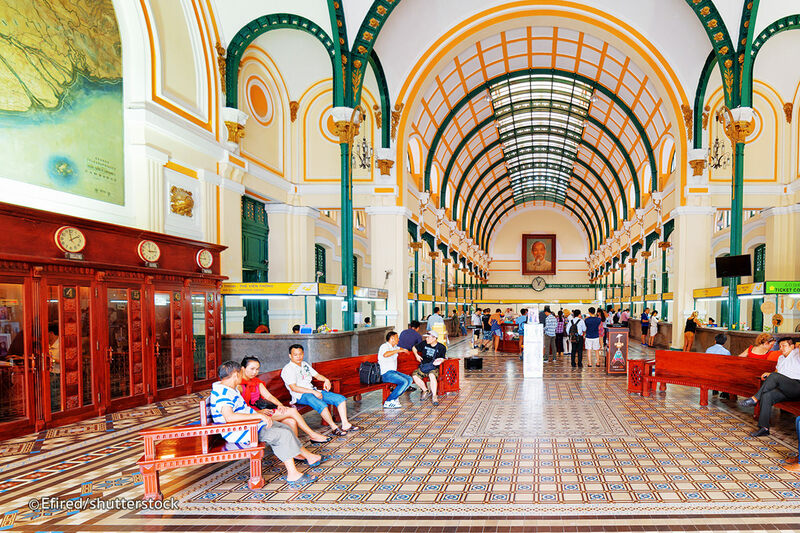 The Central Post Office in Ho Chi Minh is a beautifully preserved remnant of French colonial times and perhaps the grandest post office in all of Southeast Asia. 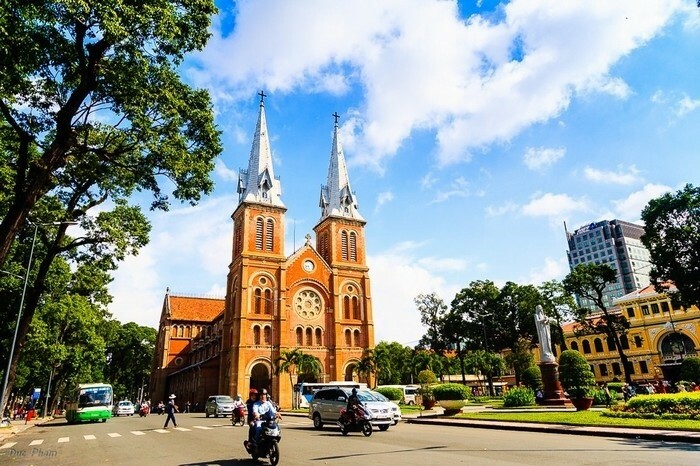 Located next door to Notre Dame Cathedral, the two cultural sites can be visited together and offers visitors a chance to imagine life in Vietnam during the times of the Indochinese Empire. The building was designed by Alfred Foulhoux and features arched windows and wooden shutters, just as it would have in its heyday in the late 19th Century. 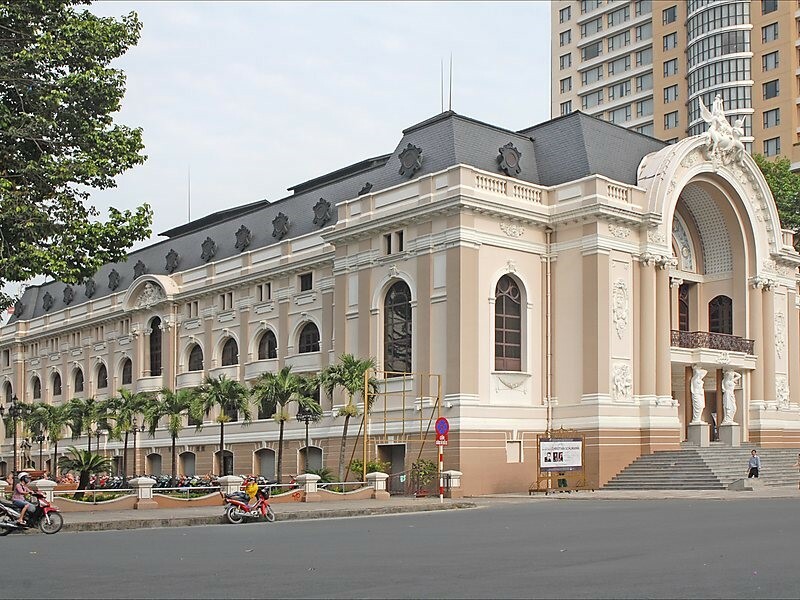 The Saigon Opera House in Ho Chi Minh is an elegant colonial building at the intersection of Le Loi and Dong Khoi Street in District 1, very close to the famous Notre Dame Cathedral and the classic Central Post Office. 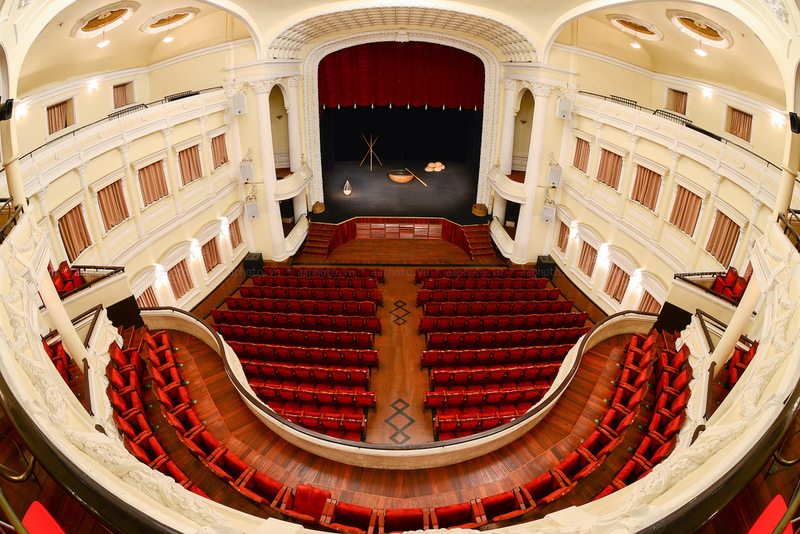 The restored three-storey 800-seat Opera House was built in 1897 and is used for staging not only opera but also a wide range of performing arts including ballet, musical concerts, Vietnamese traditional dance and plays. Performances are advertised around the building and information can be found in the state-operated tourist information centre close by. 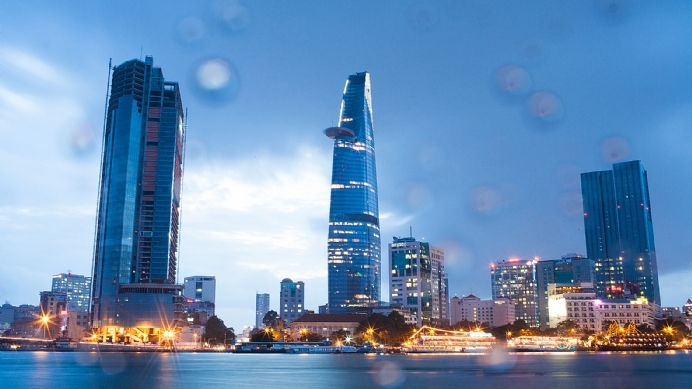 Ho Chi Minh City’s Bitexco Financial Tower & Sky Deck stands 262 metres high at the centre of the city’s business district and offers visitors dramatic views across the bustling city below. Designed by renowned American Architect Carlos Zapata, this 68-storey tower houses offices, shops, restaurants, and a helipad. CNNGo recently ranked the building fifth in their listing of the world’s 20 most iconic skyscrapers. 42 Nguyen Hue is a prominent example of a cafe-apartment, yet faces demolition and redevelopment. It was home to many high-ranking government officials before 1975 and also served as a residence of US advisors and naval officers. Today the nine-storey building is filled with different stores including coffee shops, co-working offices and clothes shops.